South African drinks-makers often look offshore for trends that might take hold at home. Visiting the home of Scotch, Boplaas distiller Daniel Nel recently encountered a country-wide wave of whisky innovation underway – some of which Boplaas has led to great acclaim in South Africa. Daniel accompanied his father, Boplaas co-owner and cellarmaster Carel Nel, on a visit to the region. Boplaas’s own distilling heritage began with the making of fine potstill brandy and dates to 1880. In addition to its range of acclaimed brandies, the family distillery produces award-winning gin and whisky. The London Distilling Company was recently the first distillery to release a London Whisky in over a century and East London Liquor Company will soon add a London Whisky to the gin and vodka in its portfolio, Daniel says. “The Lakes Distillery is another very young distillery of the Lakes District, one of the most beautiful regions in the UK. From day one they’ve worked with the goal to make a benchmark quality English malt whisky. 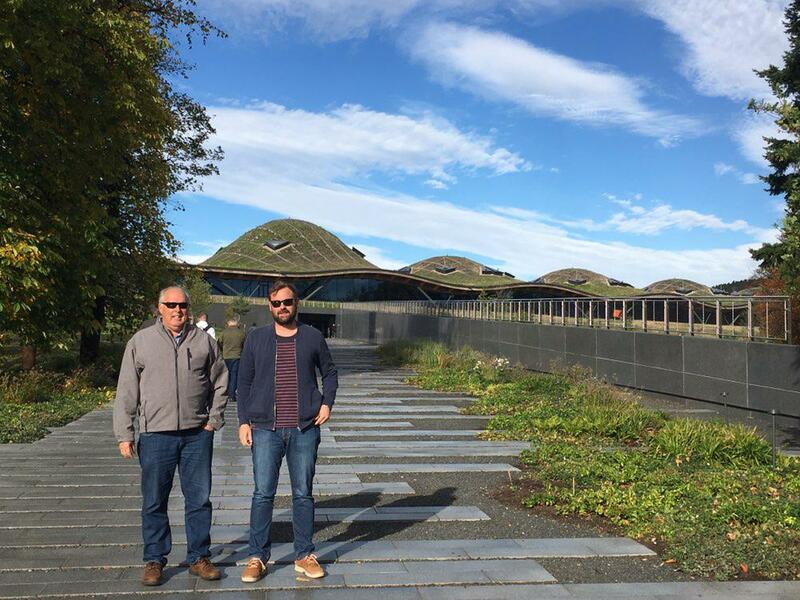 In Scotland the Nel’s visited large-scale single malt producers Glenfiddich, Strathisla, Torabhaig, Glenfarclas, Glencadam, Knockdhu and Macallan. Of special interest for the team from Boplaas, which is renowned for its champion port wines – was the use of port barrels in whisky-making. “Some of the most exceptional single malt expressions from the likes of The Balvenie, Glenmorangie, Tomatim and Dowmore use port-seasoned casks, giving the whisky an extra dimension of depth, complexity and richness,” says Daniel. “The port cask is also one of the most expensive and rarest used by the industry. In the production of its own single grain whisky, Boplaas has conducted its own experimentation with different casks – to great reception. “One of our latest expressions to be released soon was aged in ex-Bourbon casks for a minimum of five years before it was extra matured in ex- Boplaas Cape Tawny Casks for one year,” Daniel says. “The Cape Tawny gives a richness of dried white fruits like peaches and apricots, coupled with butterscotch, almonds and pecan nuts.